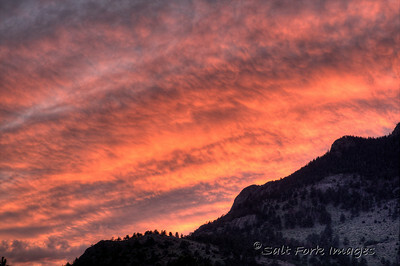 We left Estes Park, Colorado, at 5am Mountain Time and got home to Aledo, Texas, at 8:45pm Central Time. Almost 15 hours on the road to cover about 800 miles. Our total trip was 3,775 miles over eleven days. I'm not sure how much we spent on Snapple Peach Tea or powdered sugar donuts but I do know that the time with my 17-year old son was PRICELESS! The Great American Road Trip - 2012. It's hard to be a photographer this time of year. 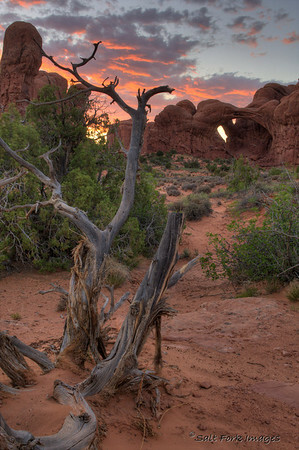 Everyone knows that the best photos are taken during the golden time just before and after sunrise. 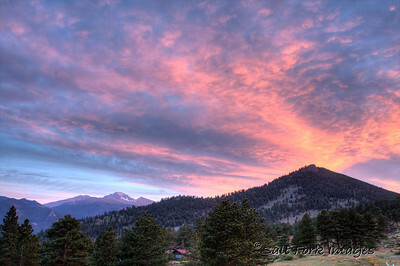 The problem is that this time of year the sun comes up at 5:35am in this part of Colorado! If it were just me - no problem. 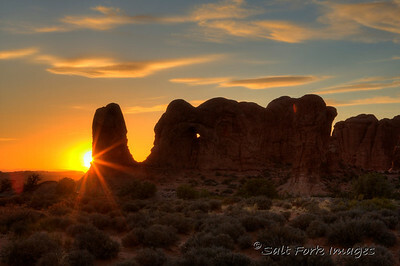 I would get up at 4am and be in a prime location for the perfect shot at the golden moment. But my traveling partner can best be described as a 140 pound lump of apathy. Enough said. 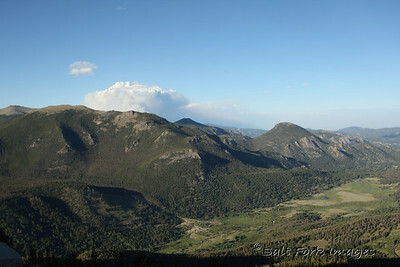 We hit the road about 7:45 this morning and wound our way up the west side of RMNP along Trail Ridge Road. It was a "severe clear" morning with temps in the low 40's as we crossed the continental divide. We managed to make it to the Moraine Visitors Center at 9:10am. That was 10 minutes after the road to Bear Lake closed to private vehicles. We were forced to ride the shuttle! Uggggghhhhh. The road to Bear Lake is under construction and between that and the mandatory shuttle system, we took about an hour to make the 15 minute trip. From the Bear Lake Trailhead we hiked about two miles to Bierstadt Lake. Here's a shot of Bear Lake. 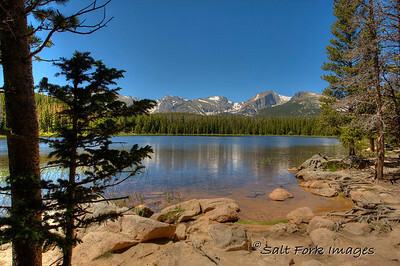 Bierstadt Lake is named for the famous German-American painter, Albert Bierstadt, who visited the area in 1876. 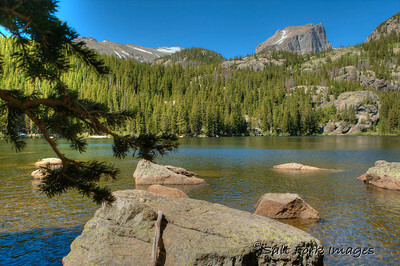 Here's a shot of Bierstadt Lake from the loop trail. We made the steep descent down to the Bierstadt Trailhead for a total of about four miles in time to wait for the shuttle to take us back to our vehicle. About an hour later we completed the fifteen minute trip. It was a good hike and even though the shuttle was a pain, I would recommend the experience to anyone....especially if you have your own 140 pound lump of apathy. Click a photo to see it larger and then click it again to see the whole gallery. We took it easy this morning and caught up on our rest with the plan of hitting the trail during midday. Midday. The hottest part of the day. Not the best time to hike in THE DESERT! 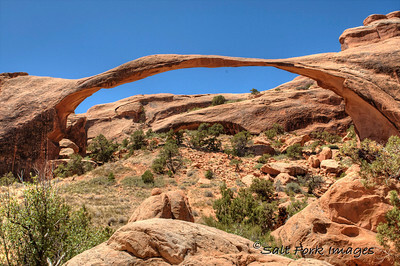 Fortunately it was only a short hike from the Devil's Garden trailhead to Landscape Arch. 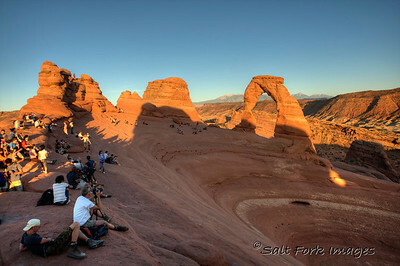 Landscape is the longest arch in the park at over 300 feet. At its narrowest point it is only six feet thick. 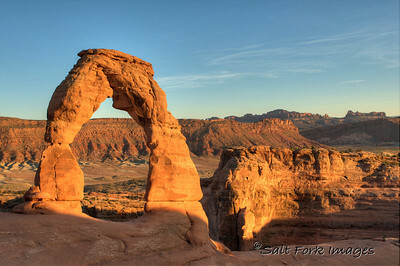 In 1991 a major chunk of the arch collapsed leaving what we see today. We felt like we should walk out and see it because the rest of it could fall anytime now or within the next thousand years. 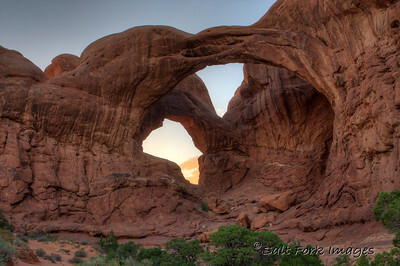 Here's a shot of Landscape Arch. Some nice people from Australia took a shot for us after I took a shot of them with their camera. 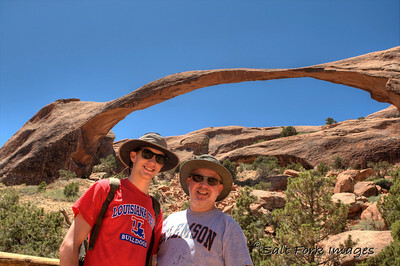 After Landscape Arch we headed back to Moab with a quick stopover at Park Avenue. We had a nice lunch in Moab and then wandered around in the various t-shirt shops so that Aaron could find the perfect expression of his warped sense of humor. I spent the rest of the afternoon after that working on photographs because that's what photographers do. 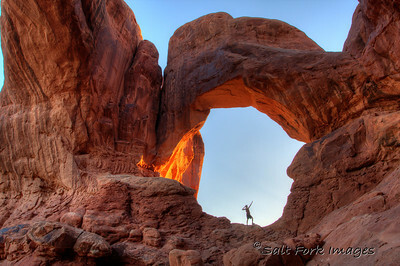 About 7pm we headed back into Arches for the sunset at Double Arch. 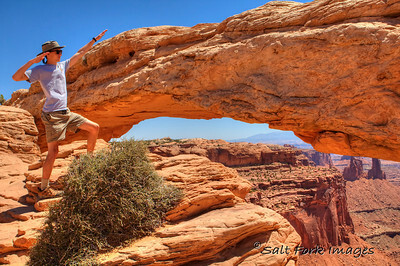 There were a lot of people up in the arch but they all cleared out at the perfect time..... well, except for Aaron. 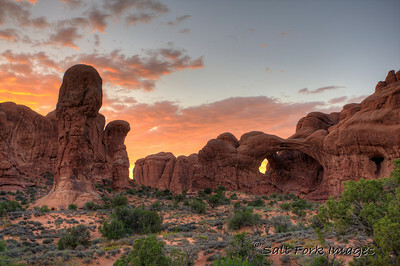 The sunset at Double Arch turned out quite nice. Tomorrow we head to Colorado. 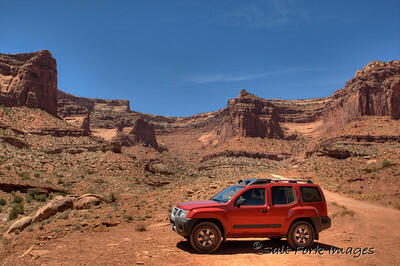 From Moab we go north to I-70 and then we point the Xterra toward the sunrise. 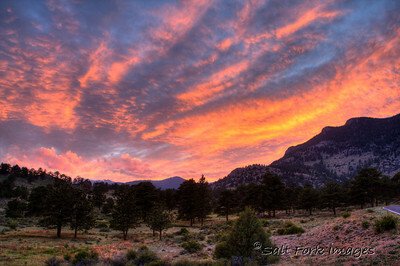 Our plan is to pass through Rocky Mountain National Park from west to east and wrap the day up somewhere down near I-25. We'll keep you posted. You know the routine. 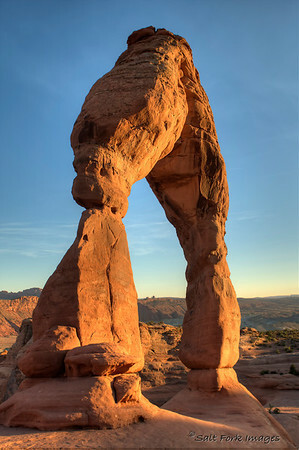 Click a photo for an enlargement and click it again to go to the GIGANTIC gallery. 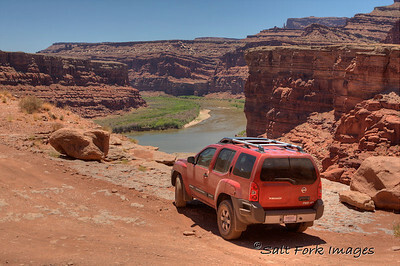 We took the scenic route from St. George to Moab today. 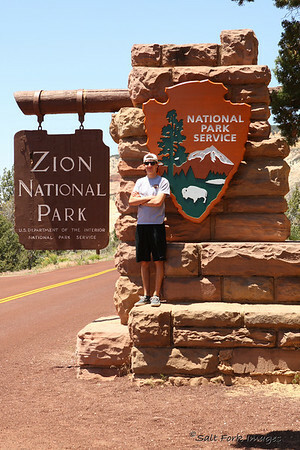 Our nine-hour drive started with a cut through Zion National Park before we spent a lot of time in the middle of nowhere. 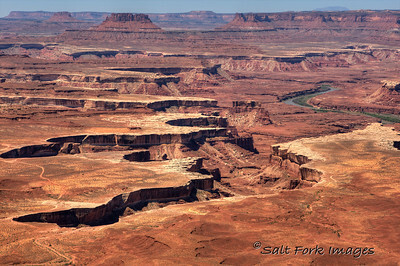 Somewhere out there we passed through Monument Valley with a quick stopover at Goosenecks State Park along the San Juan River. 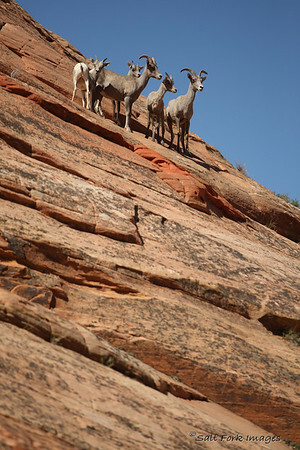 One of the highlights of the day was seeing a group of Bighorn Sheep on a cliff above us in Zion. 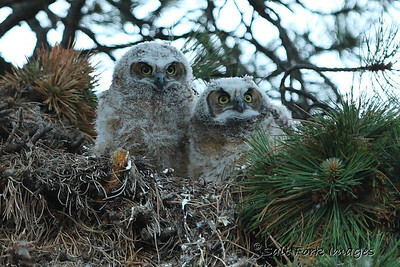 Here's a shot of them as they considered their options. 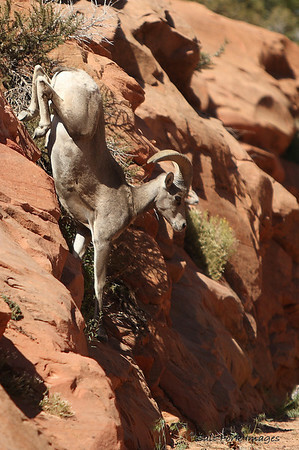 Here's one of the sheep descending the rock face. 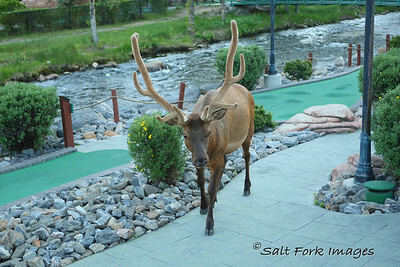 It was amazing how surefooted these guys were. Monument Valley was interesting. 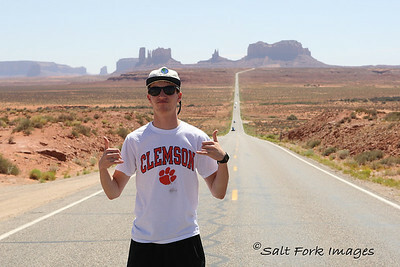 Aaron thought it was cool to stand where Forrest Gump stopped running. 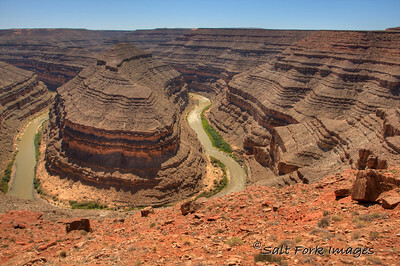 Goosenecks State Park shows the power of the San Juan River. Wow, that was cool! 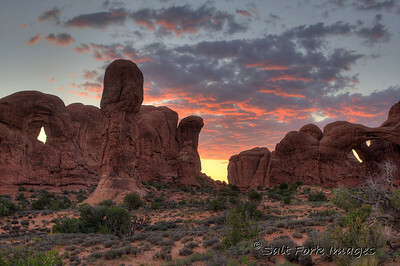 And then on to Moab where we set up our base-camp (motel) for the next three days, grabbed a sandwich for supper, and then headed to Arches National Park for sunset. 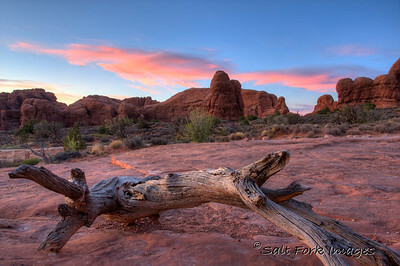 Here's a couple of shots from Arches. 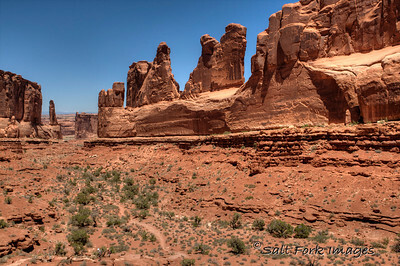 Remember to click on any photo to get an enlargement and then click on the enlargement to go to my website (www.SaltForkImages.com) to see the full trip gallery. It's Wednesday night and Aaron has gone to bed after a long day of napping. He's feeling much better now and will be able to travel tomorrow as we head to Moab to continue the Great American Road Trip. 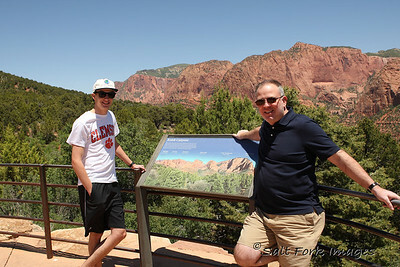 We had big plans to go hiking at Angel's Landing in Zion National Park this morning but Aaron got sick. We're not sure what the culprit was but something he ate has taken him out. Clear fluids and dry toast are the order for his day. From St. George we went north to Snow Canyon State Park and then turned west so that Aaron could say he had been in Nevada. From Nevada we drove back to St. George through the Virgin River Gorge section of Interstate 15 that cuts off the northwest corner of Arizona. 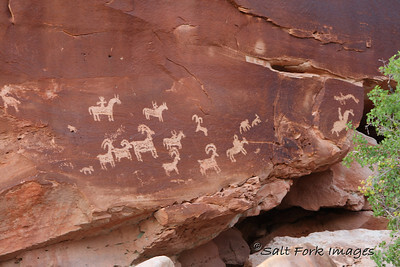 We continued past St. George on I-15 to the Kolob Canyon section of Zion National Park. 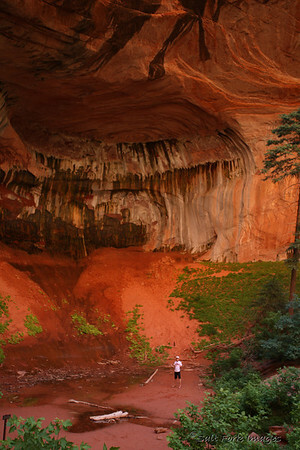 Kolob Canyon is not accessible from the main part of Zion and, as a result, is much less crowded. 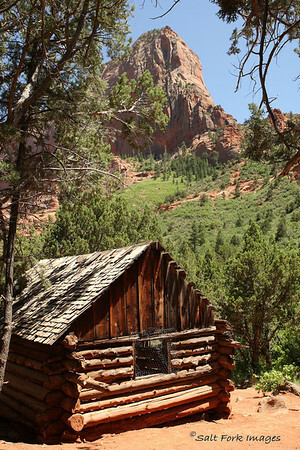 Here's a shot from the 5-mile scenic drive up Kolob Canyon. And, another shot showing my new wheels. At about 2pm we decided to skip lunch and take a hike. (Now you know why breakfast was so important.) We took the Taylor Creek Trail which was about 5 miles round trip. Along the way we passed the Larsen cabin. 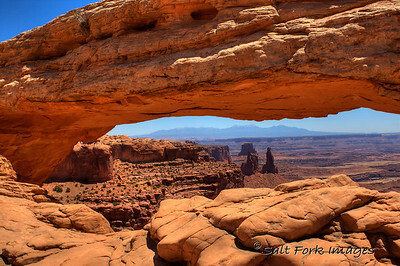 At the end of the trail we were treated to a great view of a double arch alcove cut into the rock by thousands of years of erosion. And of course, a shot of Aaron. 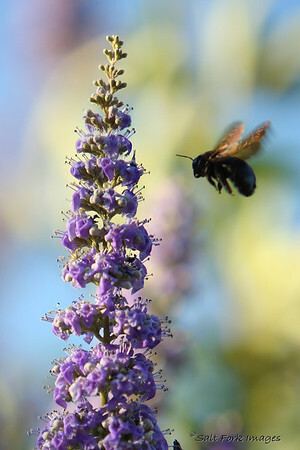 Don't forget that you can click on a photo to see it larger and then click on it again to see the whole gallery of photos. Tomorrow is a BIG day. 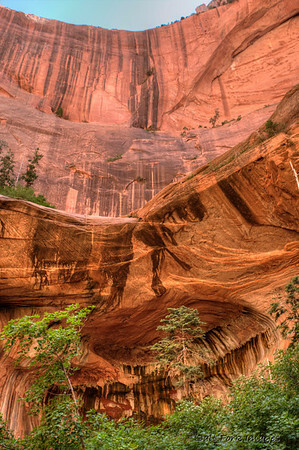 We're hiking to the top of Angel's Landing in Zion, one of the premier hiking destinations in all of America! 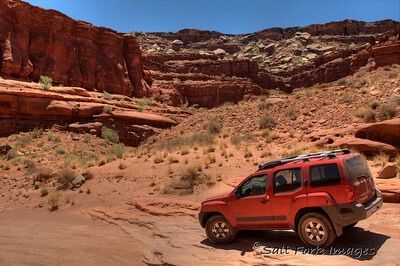 Today was another great day in southern Utah! 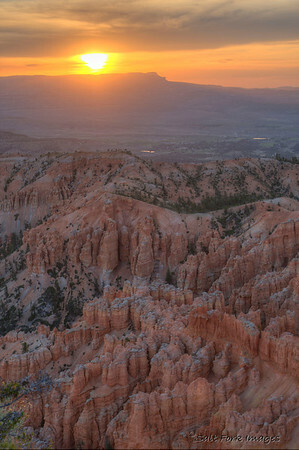 I got up about 5:25am to photograph the sunrise in Bryce Canyon National Park this morning while my young traveling partner SLEPT IN! It was okay. All those naps in the truck yesterday must have worn him out. Here's what he missed. 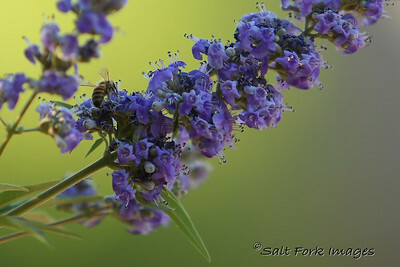 Don't forget that you can click on any photo to see it larger and then click on it again to see the whole gallery of photos. 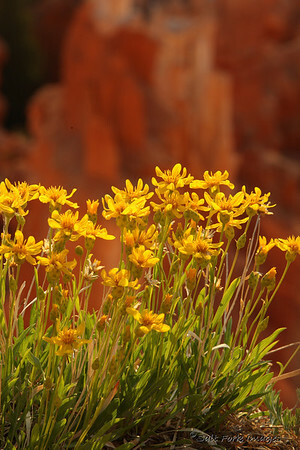 And of course, I try to always stop and enjoy the flowers. 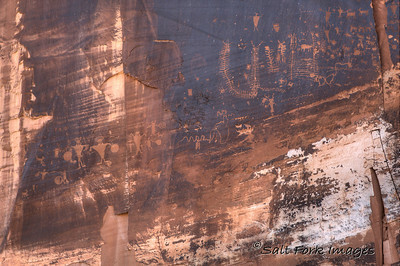 When I finally got Aaron out of bed - and got a few photographs downloaded and processed - we hit the road for Zion National Park and St. George, Utah. 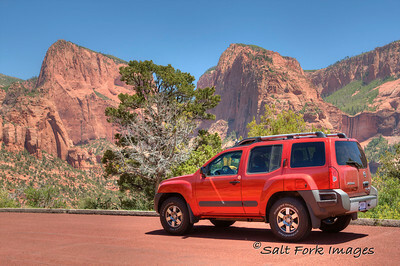 We pretty much just did a drive through at Zion, knowing that we would be back over the next few days to explore the details. But of course, you need a photo so here is one of Aaron...awake. 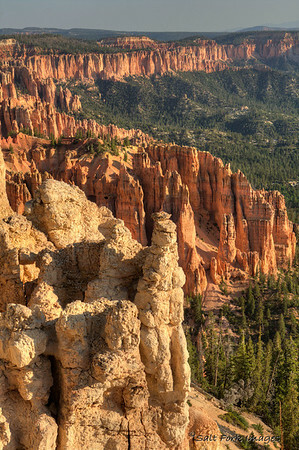 Bryce Canyon is located on a plateau - one of several in SE Utah - that was lifted up many thousands of years ago and is now eroding away. The plateau was previously the bottom of an inland lake that filled with silt and sediment which eventually compacted into rock. 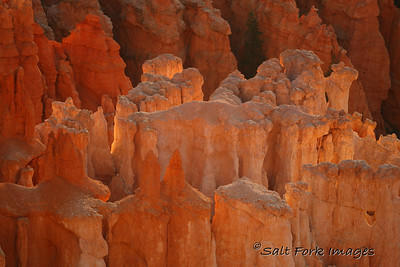 The layers of rock erode at different rates leaving fantastic patterns and formations. 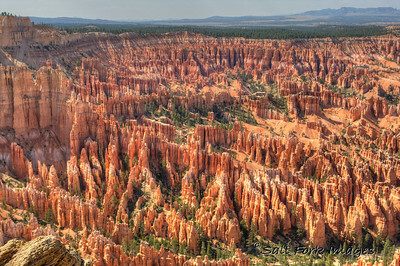 Hoodoos are the most common site in the park. 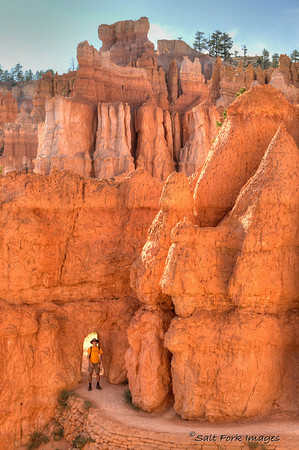 These are the strange, multi-colored spires that stand guard over the trails below the rim of the canyon. 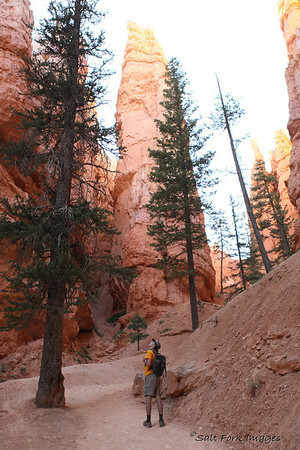 Aaron and I took a hike from Sunrise Point along the Queen's Garden Trail and then back out of the canyon along the Navajo Loop trail to Sunset Point. Here are a couple of shots of Aaron on the trail. 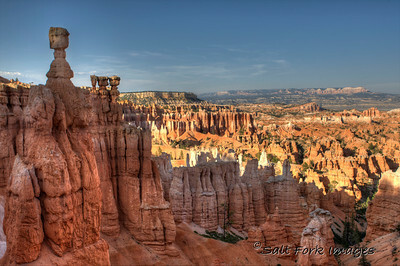 And this formation on the left is Thor's Hammer. 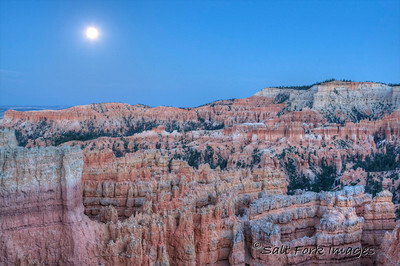 We wrapped up Day 2 with a few moonlight shots from the canyon rim. 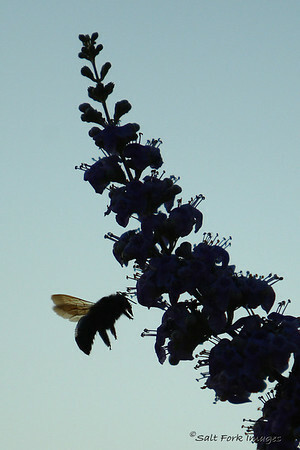 Remember: Click on a photo to see an enlargement and then click the enlargement to see the gallery.